As we move further into 2015, content marketing should no longer be seen as a by part of your online strategy, but instead, an integral segment of your marketing process. We all know that content is king, but as with SEO, things change. 2014 saw content marketing dominating the digital industry, with more and more businesses getting involved in blogging and attempting to scratch the surface with visual content. As i have just mentioned, there is always time for change, and in my opinion, 2015 will definitely stir the mix of what is valued in content marketing. As with many companies, blogging and written content is a huge part of a solid content strategy and is a key way to convey certain information or tactically place promotions to increase brand awareness. However, it may not always be the most effective method of promotion. I recently read an article stating the downfall of written content, and how they feel as though content is just being repurposed from user to user (thin content). They also stated that there is too much online for people to read! Whilst I think that written content is great, and sometimes, the only way to convey certain information, I can see where they were coming from. Written articles and blogs take time for the user to really interact with and need to be interesting, factual and engaging enough to hold concentration. Visuals are processed 65,000X faster, meaning there is much less of an effort needed from the consumer to establish a connection with visual content. Therefore, if you can get the information across with a visual instead of a blog, give it a go! Word of mouth will always be one of the most credible and successful methods of introducing a brand to a potential new customer. It has worked for decades, and will continue to work, only now it will be online! With the ever increasing popularity of mobile technology, customers are now able to make reviews, recommendations and create discussions online regarding certain aspects of a brand or product. A smart brand would capitalize on this, broadcasting a good amount of positive reviews or customer feedback to their social and online following, further increasing social proof. It is also important to try and figure out a way that serves the customers content as a direct marketing method, turning them from a happy online consumer, into a brand advocate! In the beginning, and even now, brands look to every social network in order to maximise the potential reach of their content. If you are a company that does this, it might be time to start refining your social media outlets. There is no point in exhausting your resources into promoting through ineffective channels. It may be time to let go of certain channels that hold no value to your company, and put a higher amount of time and effort into effectively targeting content through the correct channels that work in coherence with your target audience. It may be slightly less exposure, but the quality of the exposure will overcome the quantity. As i previously mentioned within Visuals, more and more brands will be looking to content as a means of promotion. 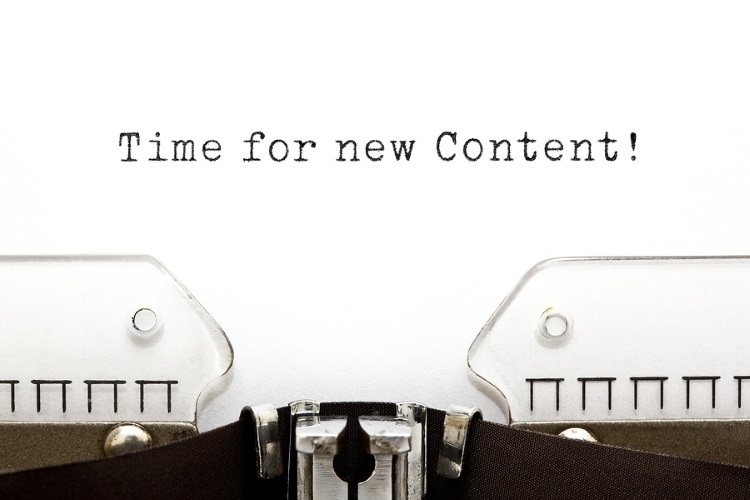 For those already in the content marketing minefield, it is only going to get more cluttered! If it is not already, then soon, the web will become extremely saturated with thin brand content, meaning yours is likely to get lost in the mix! It is vital that as a brand you find your own unique voice! Don’t be afraid to test out different tone of voices and promotional styles, you never know what may work best. Research is needed in this phase, so finding out what your target audience respond to most is a must! It may seem strange to design for mobile first and then expand for desktop, but it is one recommendation that i believe is well worth looking into! More and more consumers are now browsing the web on their tablets or smartphones, meaning the value of desktop is slowly decreasing. Whilst there may still be some issues with mobile, i.e. confidence in purchasing as opposed to desktop, 2015 will see a swarm of activity revert from desktop to mobile as confidence increases. In terms of browsing, mobile already dominates that market, and this is exactly what you would expect your customers to be doing when stumbling upon your content. So it kind of seems silly not to prioritise mobile design, right?